In the next issue of Teen Vogue, you won't see a model or actress on the cover—you'll see the first female presidential candidate nominated by a major party. None other than Hillary Clinton graces the cover of the glossy, and she also guest-edited the special-edition issue. "Teen Vogue takes teen girls seriously and understands that style and substance aren’t mutually exclusive," Clinton writes in the magazine. "I love seeing articles about the search for the perfect makeup remover next to essays about running for office (I have strong opinions on both topics, but we’ll get to that later). Teen girls are a powerful force for good in the world, and it’s refreshing to see that reflected in these pages." Clinton explains that in the issue, she'll be sharing letters received after the election, writing about her relationship with her childhood best friend, and more. "All in all, this issue is a celebration of resistance and resilience," Clinton continues. "I hope you’ll take that message to heart, because the world needs your passion and determination more than ever." Who could argue with that? 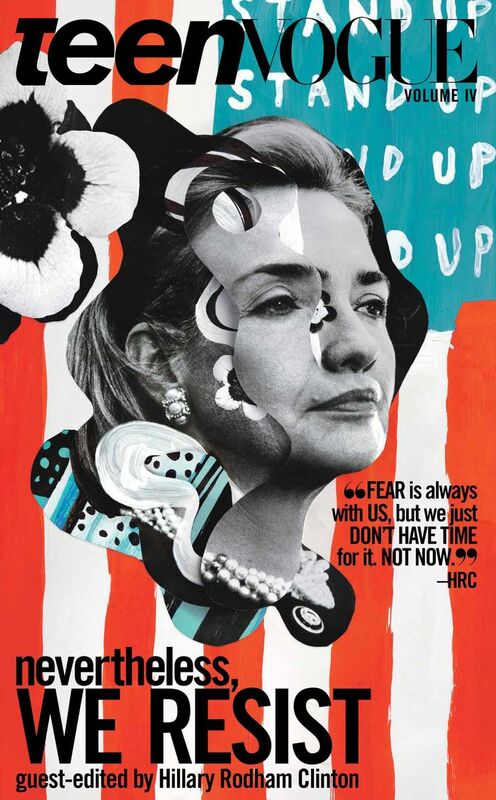 Scroll down to see Hillary Clinton's Teen Vogue cover available on newsstands December 5. Next up, get the scoop on Teen Vogue new's evolution.